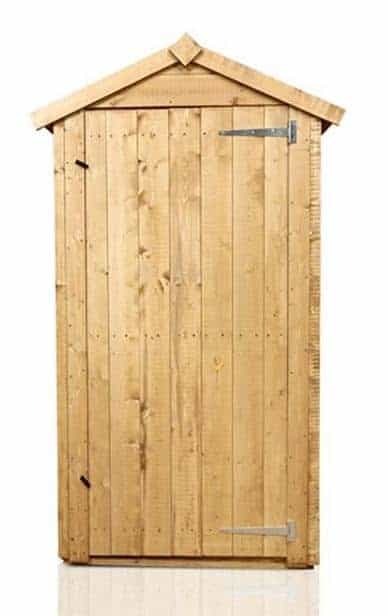 Perfect for the smaller garden or for those with less to store, the Billyoh Sentry Box is particularly suited to taller items such as spades and garden tools. The interior shelving system is included and provides extra space for those smaller items that may go missing otherwise. This is a really special storage box, it is incredibly stylish yet still practical and is constructed from strong, durable wood which is both hard wearing and long lasting. The tongue & groove cladding gives it extra strength and the upright design allows you to store tall pieces of gardening equipment with minimum fuss and as it is tall rather than wide it means that it will fit even in limited spaces. This comes complete with shelving inside. Felt roof and engineered board gives you weather protection and the Apex roof gives it so much visual appeal – a great choice for every gardening enthusiast. 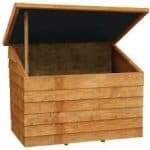 The unique shape of the Billyoh Sentry Box makes it a great choice for keen gardeners as the storage would prove excellent for spades, rakes, ladders, brushes and similarly tall items that can be awkward to store. 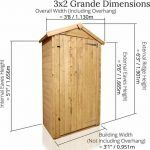 Whether used as your main outdoor and garden equipment storage solution or as a secondary storage facility for those taller items you find difficult to store elsewhere, this sentry box is an attractive building for your garden. 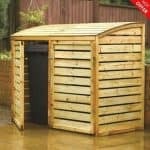 The Billyoh Sentry Box is one of those garden buildings that will suit a specific purpose. 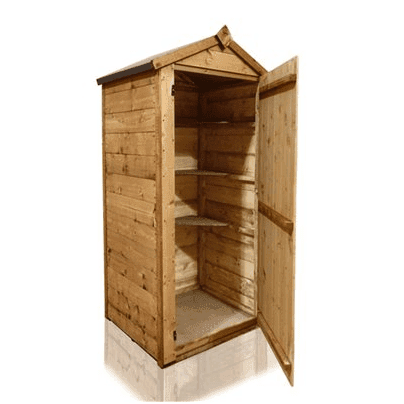 So when you come across this model as part of your search for the perfect garden shed for your garden, it will either be a light bulb moment and you will have found exactly what you are looking for, or you will dismiss the idea of it straight away. Either way, below the team at whatshed.co.uk takes the time to discuss the sentry box’s features to help you make an informed choice. Exterior: The exterior of the sentry box uses the finest tongue and groove cladding and interlocking boards give your items the ultimate protection against even the harshest conditions outside. Interior: The 3x2ft floor area makes the sentry box a fantastic compact design for the smaller garden. With its 6ft height, what it lacks in width it certainly makes up for in vertical storage space. Three internal corner shelves provide further storage for smaller items and you could add hooks to the inside of the door or main compartment to hang further items if you so wish. Door: The large door opens to give you a complete overview of the contents of the shed interior. Accessing your items couldn’t be easier, and with a fantastic 6ft height even the tallest and most awkwardly shaped items may be stored. Security: The Billyoh Sentry Box comes without any security fixtures, however it is possible to add a padlock or similar device to the door to make it completely secure and giving you peace of mind. The Billyoh Sentry Box: How easy to build? 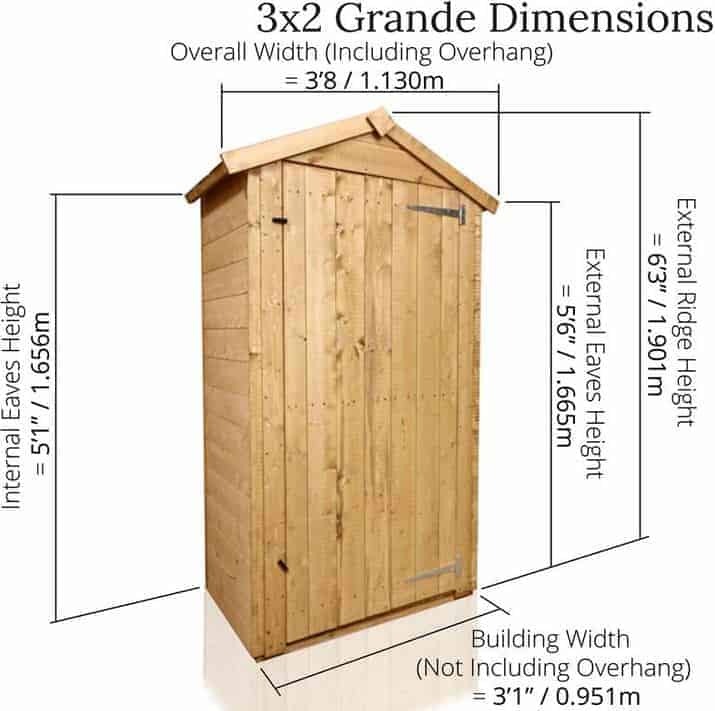 The Billyoh Sentry Box is one of the few garden sheds that may be suitable for an individual to assemble on their own. 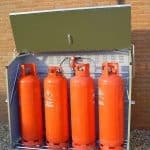 The compact nature of the box means that the parts are easier to handle, however it is always recommended by Billyoh that a minimum of two people assemble their buildings for safety reasons. With an instruction manual included, featuring detailed instructions and easy-to-follow diagrams, assembly should be a breeze. All parts, fixtures and fittings are included, only requiring you to provide a basic set of tools. The Billyoh Sentry Box: What is the overall quality like? Billyoh design and manufacture high quality garden buildings within the United Kingdom. 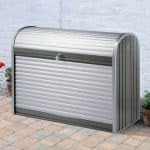 Their superb product range includes something to suit everyone’s storage needs and the Billyoh Sentry Box is no exception. 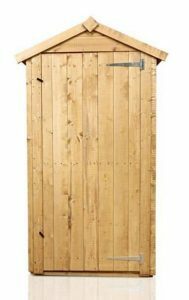 Designed with the keen gardener in mind, the sentry box is a combination of practicality and style. The tongue and groove cladding with interlocking boards gives the box an aesthetically pleasing look whilst providing the ultimate protection against the elements for your items. It is recommended that you apply a treatment to give the timber as long a life as possible. Aside from this the sentry box is low maintenance, only requiring a clean now and then to maintain its smart appearance. If the sentry box does require a clean at some point, a simple hose down with water should sufficiently clean it. 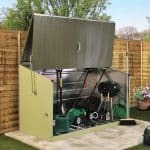 The space-saving design of the Billyoh Sentry Box makes it a unique and practical storage solution for the more compact garden. Gardening enthusiasts will enjoy the well-designed storage space for their gardening tools and accessories. At this price, whether for main or secondary storage, you can afford to have a storage solution that meets all of your requirements. 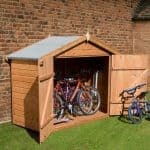 Using high quality timber and a tongue and groove design with interlocking boards, your items will be given protection all year round.